My parents are in town. Fortunately, this time around, they made it clear that they do not want to visit the Eiffel Tower. Phew! Luckily, they have the curiosity and American enthusiasm to make a trip to the local Monoprix interesting. “Cher’s coming to town? When’s she just gonna go away!” My dad exclaimed while pointing out Monoprix’s pas cher (translation: not expensive) promo. Nevertheless, I was still searching for a few news things to discover with them. So I packed up some côte de boeuf sandwiches (thanks again, leftovers!) and we headed out to the Chateau de Chantilly, about an hour North-Northeast outside of Paris. Luckily, the unpredictable weather gods graced us with a pleasant afternoon to discover the fairytale castle, its immense collection of French historical paintings, and its expansive manicured gardens designed by Varseille’s landscape designer André Le Nôtre. My parents enjoyed it so much, they properly embarrassed both myself and mon mari qui fume with a public rendition of “Chantilly Lace” by the Big Bopper. 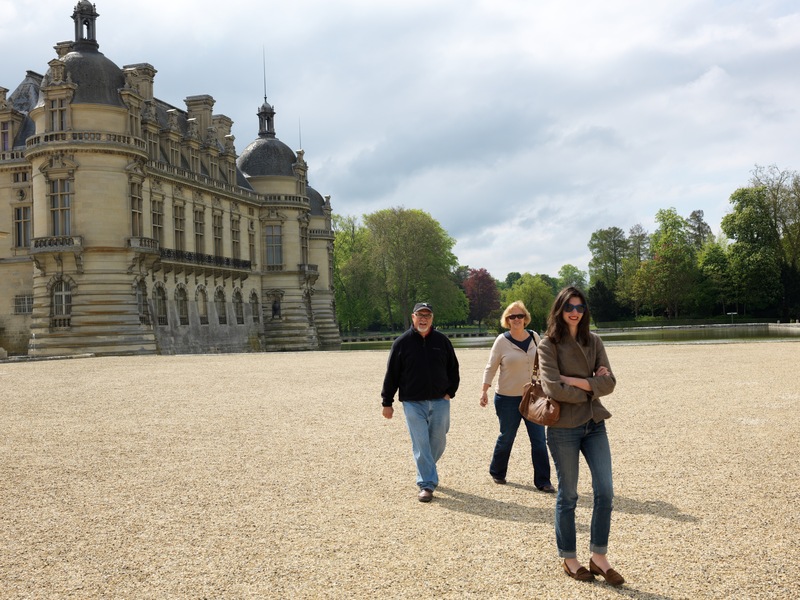 If you choose to take your parents to Chantilly, it is a cinch to get to by train. So whether it is your first time in France and you do not have time to make it all the way to the Loire Valley or Cher tickets are sold out and you are looking for something else to do on a Saturday, Chantilly is a historical hop, skip, and a jump away.